Whenever you are creating content for your site, you must always focus on producing plagiarism free content. If you have material copied from another source, then it will affect your website in multiple ways. First of all, you will end up losing good rankings, and the search engine can put a penalty on you. If you are not sure whether your content is plagiarism free or not, then you can always check the content with the help of multiple tools. Copied content can create endless problems for you in the future. You will not be able to enable monetisation on your website if you are publishing copied content. There are various free tools available for checking the copied content before posting it on your website. 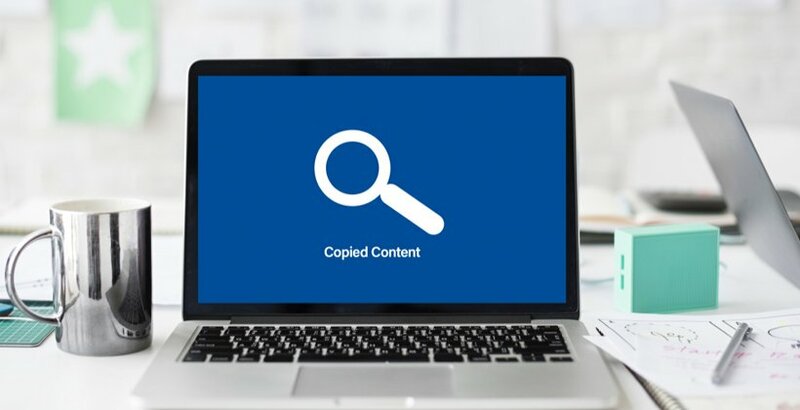 If you have no idea how you can review the copied content before publishing, then you can use the tools that we are about to discuss in this post. Let’s have a look at different free tools to find you have copied content on your website. Grammarly has become one of the famous tools for multiple reasons. Most of the bloggers and writers are using this particular tool. Grammarly offers various features including an excellent plagiarism checker. If you want to check the plagiarism of your website, you can just log into your Grammarly account, and you can run plagiarism checker. If you are willing to pay, then this application has multiple benefits for you. You can quickly check the copied content with references by using Grammarly. Apart from plagiarism checker, you will find this app extremely useful for writing articles on your website. It will let you know of all the grammar mistakes that you are making in your article. Every blogger is familiar with Copyscape, and it is one of the best tools to check the plagiarism in any document. Moreover, you can efficiently use this particular tool. It has an easy to use interface which makes things more comfortable for the beginners. You can just put the URL in the search field, and it will show the copies of your page on the web. It is the best way to check your content for plagiarism. If you are hiring a writer for your blog, you must choose the one that will provide you Copyscape pass content. Plagiarism checker is another great tool that you can use to check the copied content in your document. The tool is designed for the students to check their research papers and essays. If you are creating an assignment and you want to test the plagiarism of the document, then you should consider running the text through this plagiarism checker. It will allow you to get the percentage of the copied content and source of the content as well. Another great tool that you can use to check the copied content. If you are searching for the right tool that will help you monitor your document with multiple options, then this particular tool will provide you three options to test the text for plagiarism. You can check the plagiarism by uploading the file, entering the whole document, and inserting the URL of the article that you want to check. Moreover, this tool supports more than 190 languages as well. Here is another free way to check your document for the copied content. You can use this tool for free, and you just have to enter the URL of your article, and it will provide you with the details of the copied content you have in your document or report. It also lets you know about the similarity of the text with any other material online. DMCA Scan gives you both free and pro versions. You can check the article for plagiarism and copied content in your document. It has multiple features for the webmasters that you can use, and it can be the best option for large and small businesses online. The premium version of this tool offers multiple and enhanced functionalities including DIY case manager, website scanner and website detective. If you are looking for another quick plagiarism checker tool, then you should consider using Plagium. It will allow you to paste the article containing 25,000 characters and you can check the plagiarism in the document without any problems. Moreover, it will also give you email alerts about the copied content and then you can forward it to the one who has written the content. The tool also has a premium version, and if you are willing to pay, then you can use its premium version as well. Duplichecker is a great free tool available online, and you can use this particular tool to get the desired results. If you are looking to check the unpublished article, then this tool can come handy. You can paste the article, and you can also upload the article to check for the possible plagiarism in the article. It will use the indexes of the major search engines to report the plagiarism in the content. WorldEssays is a free tool that is available for checking the copied content in your document. This tool can be used to check plagiarism for 100 texts per month. If you are a student or a teacher, then this particular tool will come handy. You can check English and Spanish essays with the free plagiarism checker. You can easily find out whether the writing is original or not. Scanmyessay is also a free tool for checking the copied content in any document. You can use this tool to check the plagiarism percentage in a particular document. The software is available for free downloading, and you can just use the software to monitor the unpublished articles. You can also download the plagiarism reports as well.